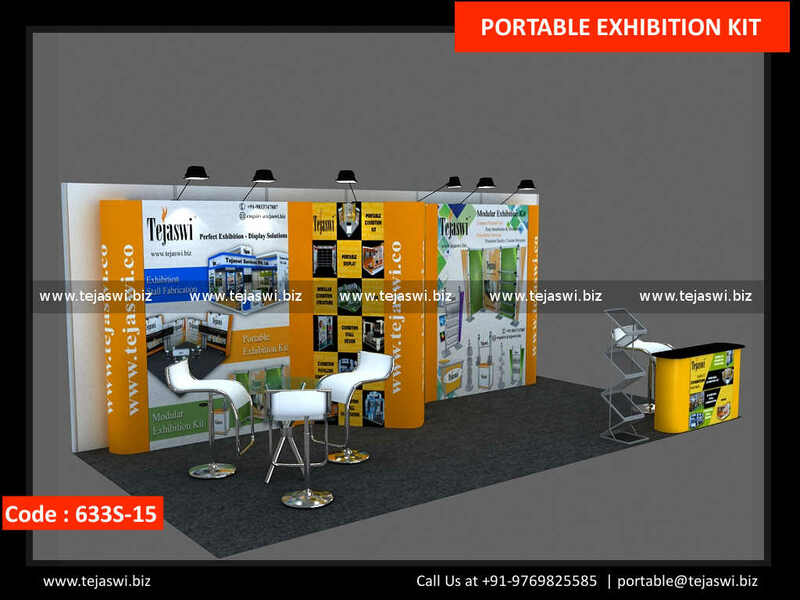 Exclusive Portable Expo Booth for Display in 6 Meter x 3 Meter Three Side Open Exhibition Booth Size. 6 Meter x 3 Meter Portable Expo Booth 633S-15 is an amazing Portable Reusable Exhibition Booth Option with Exclusive Branding for various industries like #Pharma, #Hospitality, #Chemical, #Electronics, #Automobile, #Infocom, #Safety, #Security, #Tourism, #Packaging, #Lifestyle, #Film, #Energy, #Stationary, #Rubber, #Electrical,#Building Material etc. This Portable Expo Booth Option creates High End Aesthetics for any Exhibitions at Global Locations. Whether it is Exhibitions, Events, Seminars, Conferences, Brand Activations, Promotions, Events or any kind of Brand Activites, the 6 Meter x 3 Meter Portable Exhibition Booth 633S-15 is a must have option for all your activities.